Q: How many valance panels will I need. Custom Sewn By Karen's Bed & Bath. Your curtain rod may need more than one of these valances - see helpful info below in yellow. A: 15-28" window / curtain rod: one. Q: How many valance panels will I need. 57- 84: three. Custom Sewn By Karen's Bed & Bath. Your particular window may need MORE than one panel. A: 15-28" window / curtain rod: one. 85-112: four. Length: 15" long. Q: How many valance panels will I need. Your curtain rod may need more than one of these valances - see helpful info below in yellow. A: 15-28" window / curtain rod: one. Custom Sewn By Karen's Bed & Bath. Q: How many valance panels will I need. Custom Sewn By Karen's Bed & Bath. Care: Machine wash cold with like colors / line dry or dry on low. Your particular window may need MORE than one panel. A: 15-28" window / curtain rod: one. Q: How many valance panels will I need. Your particular window may need MORE than one panel. Care: Machine wash cold with like colors / line dry or dry on low. A: 15-28" window / curtain rod: one. Your curtain rod may need more than one of these valances - see helpful info below in yellow. Q: How many valance panels will I need. Your particular window may need MORE than one panel. Care: Machine wash cold with like colors / line dry or dry on low. A: 15-28" window / curtain rod: one. I am not affiliated with or sponsored by any of the trademark holders. The valance is 15" long and 42" wide and will fit a window a little less than 30" wide. It has a 1 1/4 ?. Only one piece with hand applique embroidery.Pretty rose embellished. -Hand Applique Embroidery Rose. -100% Cotton. -M easure about 92cm Drop x 102cm Width, or 36” x 40”. Q: How many valance panels will I need. Custom Sewn By Karen's Bed & Bath. Your particular window may need MORE than one panel. A: 15-28" window / curtain rod: one. I am not affiliated with or sponsored by any of the trademark holders. Miami Marlins on Black Baseball Sports Handmade Valance 57" x 12 1/2"
It has the team logo and the words Marlins on a black background. It is made of 100% cotton fabric and is machine washable. Seattle Mariners Baseball Sports Handmade Valance 57" x 13"
It is made of 100% cotton fabric and is machine washable. Pair of handmade natural finish heart curtain tie backs with jute rope ties. The tie backs are in their natural state and will contain character knots with each pair being unique with grain pattern etc. The tie backs are finished in danish oil to enhance the natural beauty of the wood. These tie backs will be a welcome addition to a smaller set of curtains maybe in a children's bedroom or playroom. Please allow 2-3 days for completion. Any questions please ask. Pair of Wooden handmade offset heart curtain tie backs painted in antique white with a shabby chic finish and Jute Rope tie. The jute rope tie also gives a lovely rustic finish to the tie backs. Blackout is 100% light-blocking. It has a better appearance than vinyl and drapes in soft, beautiful folds. It has a built in sound barrier to ward off out of room noises at the window. This sales page is for valance length panels under 20". it is NOT for drapery panel length or tier length. It has a 1" top header ruffle and a 1 1/2" rod pocket opening that fits a standard rod. Most windows need 2 valances for a nice full look. This fabric can be washed on the gentle cycle and dried on a low setting or line dried for ease in care. Listing is for one handmade valance. Waverly red toile with blue stripe 15" side length, 11" center drop and 64 " wide, 1 1/2" rod pocket. Limited quantity no 2 alike, no reorders. These are short Curtain Tiers. THIS IS THE LAID OUT FLAT PANEL SIZE. THIS IS NOT THE WINDOW SIZE. Toronto Blue Jays Baseball Sports Handmade Valance 56" x 13"
In a quality Prestigious designed fabric 'Longleat' the cotton curtains have a quality cream lining. This superb fabric features lions, giraffes, zebras and birds in colour. 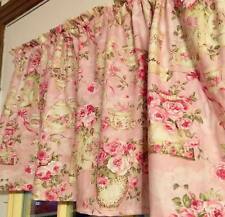 A beautiful pair of fully lined curtains 72" drop with a 3" header tape top for hanging. Lined and interlined hand sewn pair of curtains in GP & J Baker, Ishana PP50377/4. All 5 colours available in picture order. Deep hem, serged interlining, herringbone hem, pattern matched seams, hand sewn sides. ONLY 1 VALANCE AVAILABLE! No more can be made. 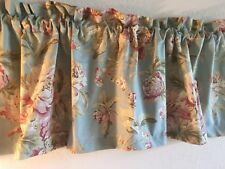 French Country Provence style Scalloped Lined Valance Window Treatment approx. 50" wide by 12" sides and 11 1/2" center drop, no header, 2" rod pocket, fully lined. features Discontinued Waverly "Rendezvous", in Chambray blue and tan colorway. For sale are a new handmade pair of 100% linen curtains. Price is for the curtains only - not furniture etc as shown in the pictures. Fully lined. Owls Birds Snow Owl Bird Woodland Tree Branch Animal Grey White Owl Snow Gray Handcrafted Curtain Valance. Q: How many valance panels will I need. Custom Sewn By Karen's Bed & Bath. Your particular window may need MORE than one panel. 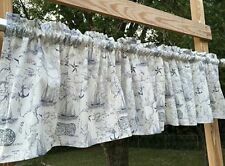 Cowboy Hat Bronco Horse Ranch Curtain Valance. Q: How many valance panels will I need. Your curtain rod may need more than one of these valances - see helpful info below in yellow. A: 15-28" window / curtain rod: one. If you prefer the curtains can have a shorter drop. The curtains can be lined, blackout lined, and interlined. The curtains are weighted in the corners. Size of each curtains One pair curtains available at this price. Boston Red Sox on Red Baseball Handmade Valance 57" x 13"
It has the team logo in a white circle baseball and the words Red Sox in blue on a red background. It is made of 100% cotton fabric and is machine washable. Miami Marlins Baseball Sports Handmade Valance 57" x 13"
Weighted Blackout Lined Curtains. Curtains have been cotton lined with good quality cotton blend lining ensuring better fluid draping & texture of the curtains. Classic Crushed Velvet Pewter Colour. Stunning pair of lined weighted curtains using beautiful fabric. Features Celtic dragon print on a Celtic knots background. The interlacing lines of the Celtic Knot stands for "no beginning, no ending, the continuity of everlasting love and binding together or intertwining of two soul or spirits. Q: How many valance panels will I need. Your particular window may need MORE than one panel. A: 15-28" window / curtain rod: one. Your curtain rod may need more than one of these valances - see helpful info below in yellow. 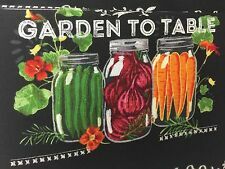 The fabric is 100% cotton and can be washed on the gentle cycle and dried on a low setting or line dried for ease in care. Not sure what size you need?. I'm always happy to help. 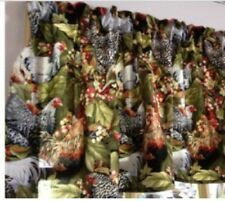 NOTE: Pics above show valance sewn with ONLY the 3" rod pocket at the top (no header ruffle) for a more rustic look. Be sure to read helpful info below on window sizes as you may need more than one valance on your particular window. A pair of handmade long wooden heart curtain tie backs in medium oak. The jute rope ties have a slightly different look with one branch off being a loop and the other with a button. These tie backs lend themselves to those that don't have hooks attached to the wall and the button acts as a hold/anchor when hung around your curtains. Any questions please ask on here or my mobile 07810044807 and ask for Jonathan. Please allow 2-3 days for completion, these are a handmade item and take time to get the desired look and finish. The hearts are handcrafted and painted in light grey Annie Sloan paint. Slight sanding on the edges to give that classic shabby chic feel and look.